Thuja (Thuja spp. ): growing, planting, caring. Very commonly used for hedges - it protects from the winds with its evergreen foliage. 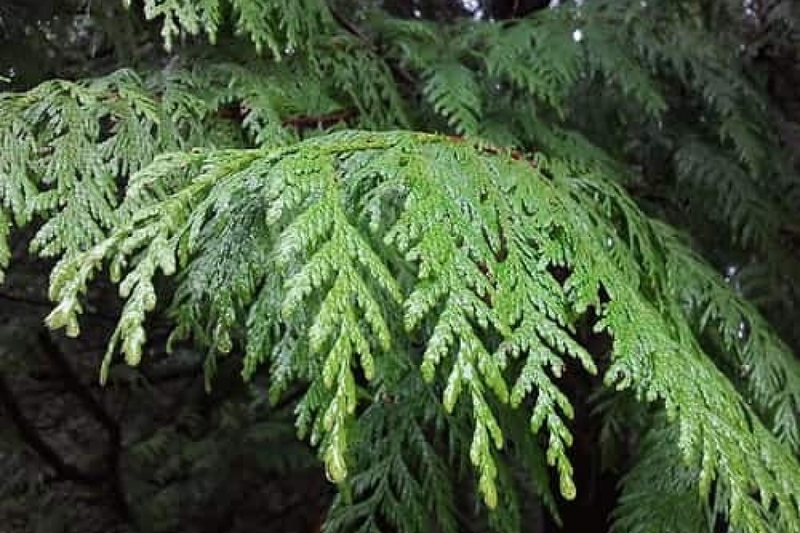 Scientific name : Thuja spp. Thuja is a genus of coniferous trees in the Cupressaceae. There are five species in the genus, two native to North America and three native to eastern Asia. Members are commonly known as arborvitaes, thujas or cedars. Thuja are evergreen trees growing from 10 to… 200 feet tall, with stringy-textured reddish-brown bark. The shoots are flat, with side shoots only in a single plane. The leaves are scale-like 1–10 mm long, except young seedlings in their first year, which have needle-like leaves. The scale leaves are arranged in alternating decussate pairs in four rows along the twigs. Plant in late autumn or winter, in unfrozen soil, during the dormancy of the plant. Plant in a hole at least twice as big as the root ball. Soak the roots in water before planting, it should improve the chances of recovery. Keep a hollow around the base, it will serve as a water reserve during the first months. Tamp the soil well around the roots (do not hesitate to use all your bodyweight). Water until the hollow is full, and the level decreases very slowly (at least two watering cans). Trim hedgerows in spring and September, trees in winter. The pruning is done with shears or hedge trimmer preferentially, it avoids being able to cut branches too old (and to make irreparable damage), and allows a regular result. Thujas need to grow slightly to regenerate their foliage, so give them at each new trimming 1-2 centimeters extra. After planting, water abundantly but not too frequently, so that the roots will fetch water deeper. Water thoroughly until the soil is wet and a small puddle forms around the tree.